WILLEMSTAD – The Minister of Justice, Nelson Navarro was summoned before parliament to explain his project to equip the busiest areas of the island with surveillance cameras. The Minister started his dissertation in parliament saying that he cannot share all information because of security reasons. This is also why he did not hold a public tender, since all the information will then be public. “If we had followed that path we would have had to share all details about the cameras and of course this would be disastrous for our strategy,” said the Minister. 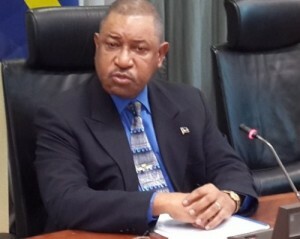 The Members of the PAIS faction in parliament said that they hope that the people of Curaçao can understand why the Minister had to deviate from normal practices. The use of CCTV cameras is a practice that is being introduced in many other countries. It’s a form of having more eyes on the street. Some examples are at traffic lights, for speeding, driving without insurance or paid taxes. It helps to bring order in the society. The main objective, according to the Minister, is to help in the fight against crime, violence and destruction against public property.